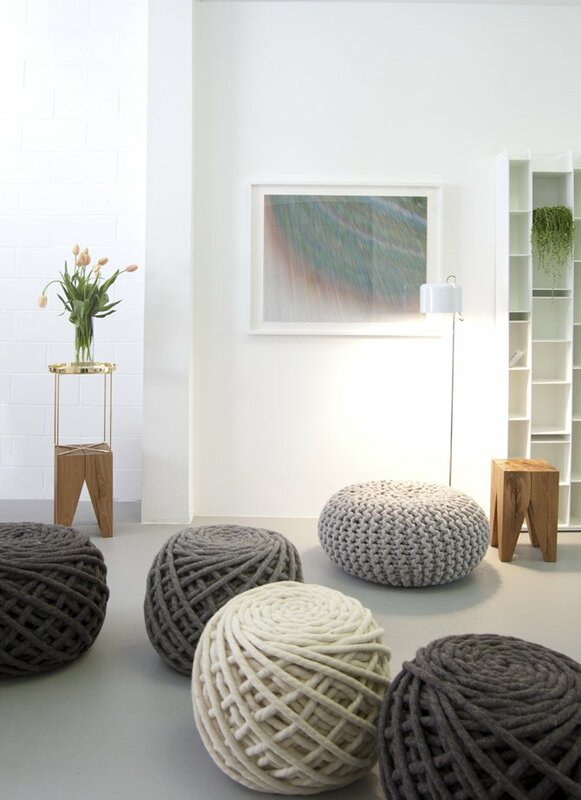 The shop's best-selling 'Urchin Poufs,' by Dutch-based Christien Meindertsma, are knit with gigantic needles. In the foreground are Meindertsma's Texelaar Ottoman Poufs. The wooden Backenzahn stools are by Phillip Mainzer for e15 and the ink-on-paper drawing, titled '5,604 Lines,' is by the San Francisco-based artist Alex Zecca.